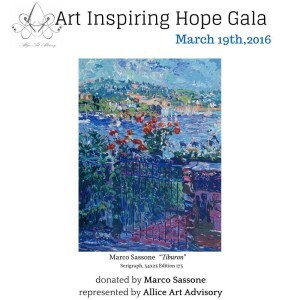 March 19th I attended the Art Inspiring Hope Okizu Gala! This year I represented Marco Sassone in the live auction (with his donation of “Tiburon” pictured below). Check out the Allyce Art Advisory Facebook page for exclusive video of the auction!